After breakfast start for Pelling (6,300 ft.). On arrival check-in to your hotel & rest of the day at leisure. Overnight stay at Pelling. Taxi 01 Non AC Indica / WagonR / M. Van (Except Tsomgo Lake & Baba Mandir by 01 Non Ac Sumo / Max / Bolero) as per itinerary on point to point basis only. Any cost arising due to natural calamities like, landslides, road blockage, political disturbances (strikes), etc (to be borne by the client, should be is directly payable on the spot). Supplement Cost for Nathula Pass @ Rs.5,500.00 per car will be charged extra (Monday & Tuesday closed). Any cost arising due to natural calamities like, landslides, road blockage, political disturbances, etc. (To be borne by the client, this is directly payable on the spot). We need Guest Name to process your booking. Permit require for Tsomgo Lake. It is mandatory that guest should carry 02 copies of passport size photograph, original photo ID proof with photo copy (identity card – Voter ID card / Pass-port / Driving License /) for processing the permit. PAN Card / Aadhar Card are not acceptable for issuance of the Permit. 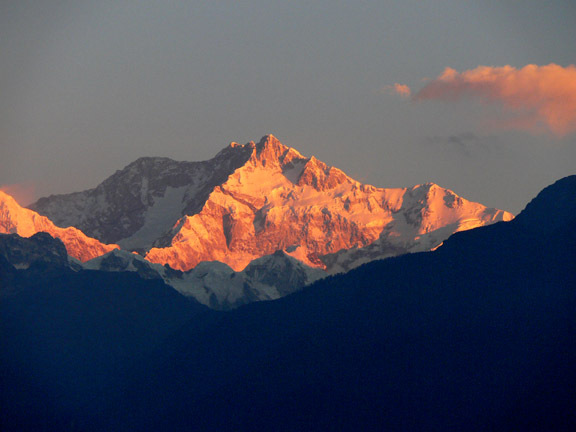 Permit also require for traveling to North Sikkim (Lachung). Requires 02 more copies of passport size photographs along with original photo ID proof. As Innova is low chassis car and not ideal to travel North Sikkim and Tsomgo Lake – Baba Mandir. Alternative in Luxury vehicle like Scorpio / Xylo will be provided.